By guest blogger, Michelle W. Canarick, Ph. D.
The day before my mother’s birthday I was 12-weeks pregnant and my husband and I sat in the waiting room of the sonogram area of the hospital. I don’t know what we were doing…were we talking? Were we holding hands? I can’t remember. What I do remember is that it was ordinary. I remember that we felt grounded. When my husband asked, “Why is this taking so long?” while I was lying on the sonogram table I do know that I snapped out of my reverie. The expression on his face was enough to move me into what would become a familiar panic. When the tech answered, “I’ll go get the doctor,” we looked straight into each other’s eyes, but just for a second. The fear I saw in his face made me look away. It was years before I could look at him and see something else. “There was no heartbeat, the fetus had not developed past eight weeks, not uncommon in the first pregnancy, suggest a D & C, done at hospital or clinic.” I heard the words, but I was floating above the bed, watching the scene. I admired my stoicism and at the same time I knew I was breaking. We decided to have the D & C the next day. The doctor was fast and gentle but I left fifteen minutes after I awoke. I couldn’t stay for one more second. Later that day there was a voicemail on my phone; my best friend had gone into labor 6-weeks early and had given birth to a baby girl. She didn’t know if she should call, but how could she not? That voicemail was the beginning of something new. Pain, directly resulting from someone else’s happiness. The sight of a pregnant woman made me angry. Babies made me cry. The phone calls from friends who were pregnant were adding up and I didn’t welcome them. My husband wanted to try again. My doctor assured me it was a fluke. “It happens,” she said. What I heard was “get over it, move on.” I agreed to start trying again, but I didn’t move on. I counted the weeks of my would-be pregnancy. I mourned each passing month. I hated my flat stomach. The feeling that there was something wrong with me ate at me daily. I got pregnant a few months later. As opposed to the first time, I never got comfortable with this pregnancy. When the bleeding started in my eighth week I knew the road on which I was headed. My OB confirmed what I already knew. There was no heartbeat. We scheduled the D & C for the next day, this time in the hospital. I was already numb. I lost my breath while the nurse was putting in my IV and the room started spinning. Suddenly, there were three new people wearing scrubs in the room and my husband was there, holding my hand. “Where did you come from?” I asked. “You passed out, but you’re ok now.” I was not ok. The tears would not stop. I felt completely out of control. I didn’t recognize myself. I kept apologizing to my doctor. She said, “I promise we will have happy times.” I wanted so much to believe her. The next months passed with tests, appointments, diagnoses, and surgeries. I learned all the ways in which I was broken and how the doctors were going to fix me. I didn’t believe a thing they said, except the broken part. My husband went along for the ride and he was an excellent companion. He held me while I cried, he tolerated me when I pulled away, he dismissed me when I told him I thought he would leave me to find someone who could give him what he wanted. He was also scared. He felt the loss of control. He felt the loss of our babies. But he did not lose hope. His hope gave me strength. Today, I have an almost nine-year-old daughter and a seven-year-old son. I have devoted a good portion of my therapy practice to working with new moms. I help women to process the shift in their identity, the change in their relationships, their fears about parenting and their disappointments. I love my work. I am connected to it. I am connected to myself. The journey back to that connection came only after my daughter was born. 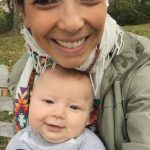 When I heard her first cry, all I could think was “Is she ok?” After my miscarriages and diagnoses, I could not imagine I would be a mother. I worried throughout my pregnancy. I worried about being worried. I was convinced my damage would damage my child. There were times of joy, times of excitement. When I felt her move inside me or saw her little leg jut out my belly, I even felt secure. But I guarded my heart with as much intensity as I guarded my pregnancy. My daughter is a beautiful, vibrant girl with a smile that lights up her face. She is unique and passionate. And yet, I still worry: about her learning, about her friendships. I worry that I think too much when I’m with her. I still worry that my damage is damaging. Before I got pregnant with my daughter, I confided in a friend who adopted after trying to get pregnant for years. Her response was, “When you have your baby (and somehow, you will have your baby), it will heal your heart.” Is my heart healed? I guess it is, enough that I can write this. But there’s a big scar where it was once cracked open. When I lay in my daughter’s bed at night I sometimes feel a profound relief. I hold her as if she could slip away. And when she tells me she wants a sister, I think about the sister whose inability to survive made room for her to exist. 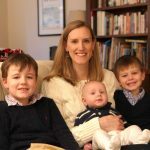 BIO: Michelle Canarick is a Clinical Psychologist and the very humble mother of Elle and Mason. In her parenting work with moms, Michelle lives by the motto of “do as I say, not as I do.” She is trying to find (and provide) as much MomSanity she can while living, working and parenting in NYC. You can find Michelle leading workshops, running groups, and being a mama in Manhattan and at NYCMomSupport and on Facebook. 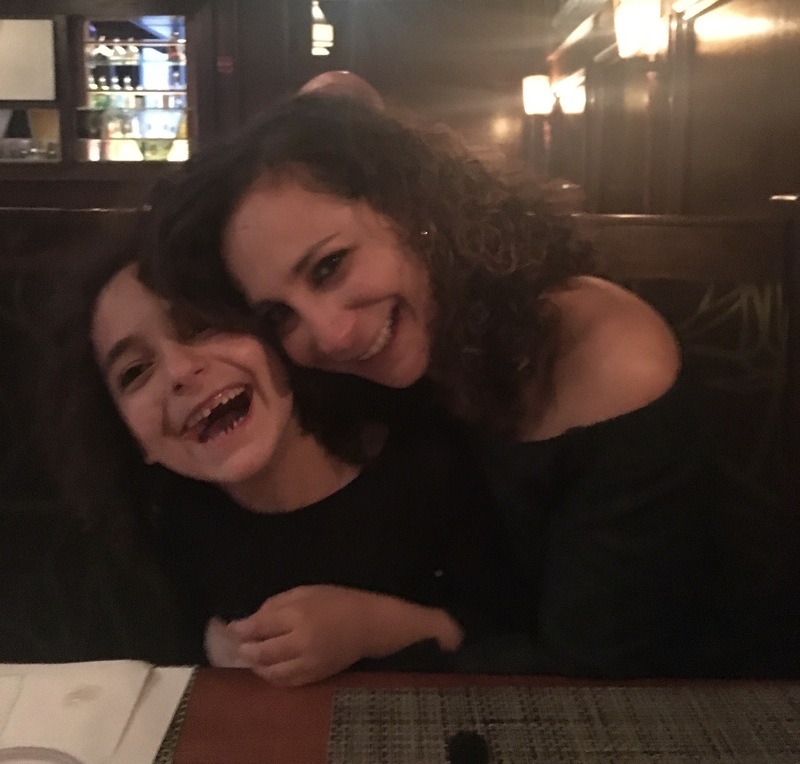 Mom of Month: Meet Jamie Hurwitz!